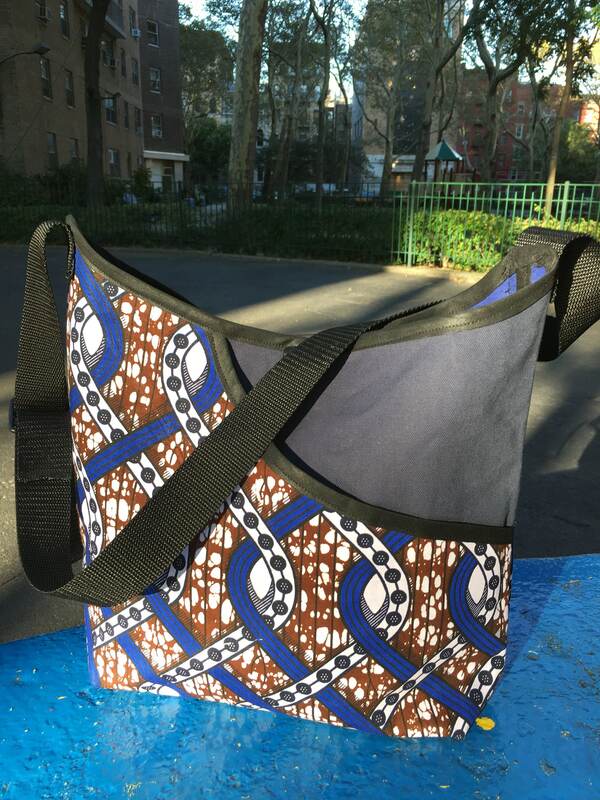 This beautiful brown and blue African wax cloth is imported from Mali. 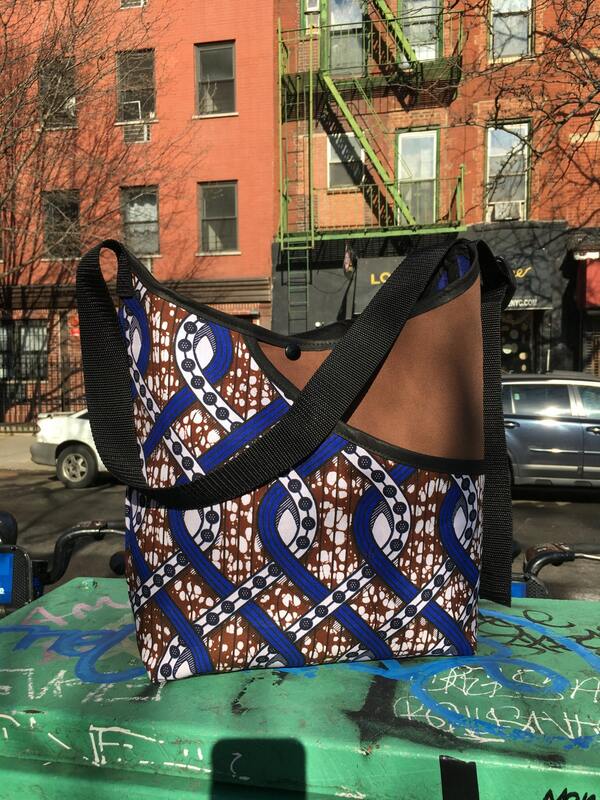 We combined the print with a brown canvas to accentuate the design. 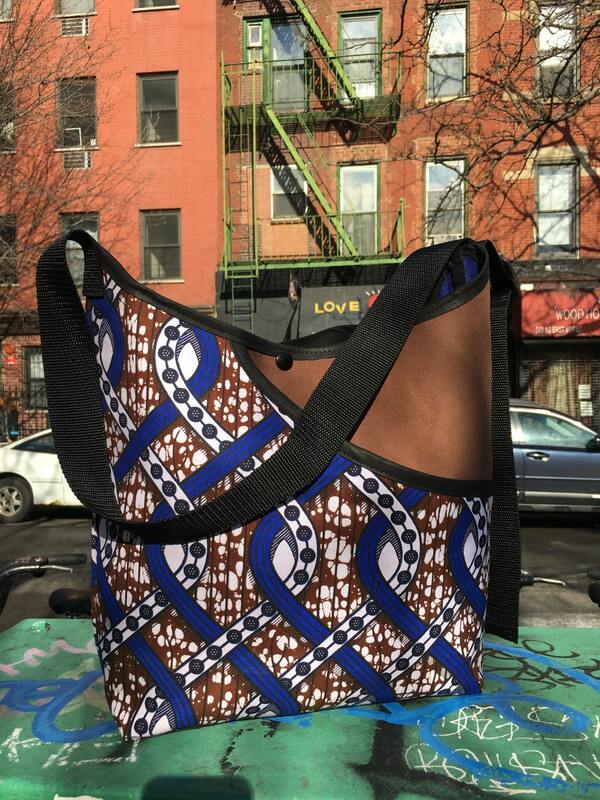 This bag is the ideal size for a lightweight cross body messenger style bag. The interior is lined with a royal blue water repellant canvas and features a snap closure, an interior and exterior pocket and a 1.5" durable adjustable black poly pro webbing strap.